When you are surfing the internet, a lot of information is being exchanged between the web host and the device being used to surf the internet. This type of information can always be easily breached by hackers, especially if it involves online transactions and this has always been a major issue when dealing with the internet. Nowadays, cases of online theft are becoming increasingly popular. There is one way of determining whether a site is safe to use through an SSL Certificate which is powered by the beauty of cryptography. Cryptography ensures that data is transmitted in a means that only the intended party can access it. You can easily determine a site which has an SSL certificate by the padlock icon that is displayed beside the web address. So how do SSL certificates work? SSL in full is Secure Sockets Layer. An SSL certificate provides tight security during the exchange of data. In SSL cryptography, encryption makes use of separate keys for the decryption and encryption of data. Encryption keys are public and anyone can use them. But the decryption keys (ones used to turn encrypted data into meaningful information) are private and are kept secret. The SSL certificate, on the other hand, can simply be described as a tiny data file that has the appropriate information about a certain website. The information can be quickly read by the host connection once the request for connection is received. It is through an SSL that a website can prove its authenticity to a web browser. An SSL certificate is not handed out like a college certificate. There are a number of companies called Certificate Authorities (CA)that authenticate that a site/server is legitimate and sign a resultant digital certificate which is then stored, just like a cookie is stored on your browser. The certificate will continuously alert all incoming connections and protocols that the connection is trustworthy. 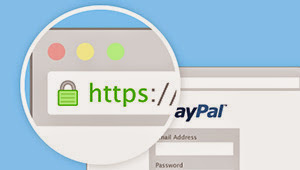 SSL certificates make online data-exchange, especially financial transactions, safer. 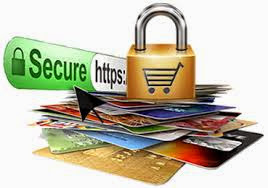 It is a common rule of thumb not to trust any e-commerce site that does not have an SSL certificate. There is just too much information floating around online nowadays such as credit card info, banking information etc. The safety of all these vital information will be ensured by the SSL certificate, and every browser will accept the websites incoming connections. However, most small websites, such as blogs, don’t really need to supply an SSL certificate.